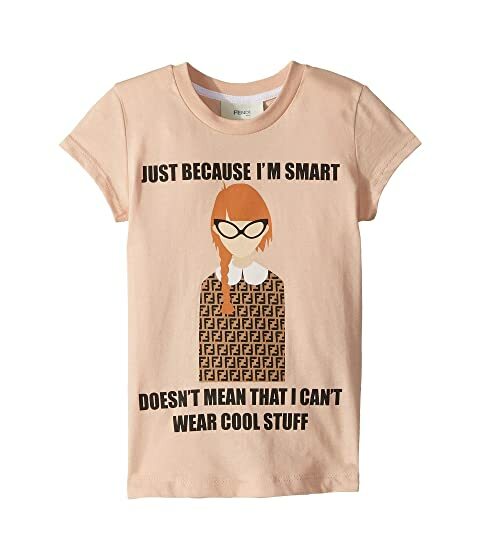 She's a fashion icon and a smart gal wearing the Fendi Kids™ Cool Stuff Logo Tee. Cool graphic and verbiage at front. Product measurements were taken using size 3 Years. Please note that measurements may vary by size. We can't currently find any similar items for the Cool Stuff Logo Tee (Toddler) by Fendi Kids. Sorry!